Trust in government is at an all-time low. That’s one reason federal agencies are being charged with the most ambitious agenda to improve the way government’s customers experience and benefit from its many services. This workshop exposes you to the best customer experience improvement practices in private and public sector organizations and offers insights into the initiatives being waged across government to drive improvements in customer satisfaction. The Administration’s Cross Agency Performance Goal, Improving Customer Experience with Federal Services, promises to “transform the customer experience by improving the usability and reliability of our Federal Government’s most critical digital services; create measurable improvements in customer satisfaction by using the principles and practices proven by leading private sector organizations; increase trust in the Federal Government by improving the experience citizens and businesses have with Federal services whether online, in-person, or via phone; and leverage technology to break down barriers and increase communication between Federal agencies and the citizens they serve.” (https://www.performance.gov/CAP/CAP_goal_4.html) But it’s easier said than done. This workshop will provide agency leaders and managers tools they can use to make a difference not only at their agencies, but for the American citizens as well. All program managers who interact with the public and other organizations. Connection of Customer Experience to President’s Management Agenda. Empower citizens through solutions that are "effective, effortless and economical"
Register one person from your agency and the 2nd person receives a $200 discount. Karen Evans Assistant Secretary for the Office of Cybersecurity, Energy Security, and Emergency Response (CESER) at the U.S. Department of Energy (DOE). Prior to leading DOE’s cybersecurity efforts, Karen served in the public sector as a top IT official at the Office of Management and Budget, in the position that is now known as the federal CIO. 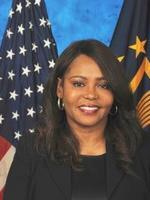 She has also previously served as DOE’s CIO. Most recently, she was the National Director of the U.S. Cyber Challenge, a public-private program designed to help address a skills gap in the cybersecurity field. Martha Dorris, principal at Dorris Consulting International, has almost 34 years of government experience in acquisition, technical and program management to customer experience. Martha has run many government organizations that build and deliver agency and citizen facing programs to deliver government services anytime, anywhere on any device. Most recently, Martha led and managed GSA’s Office of Strategic Programs where she brought a customer-centric lens to the services and acquisitions they award. 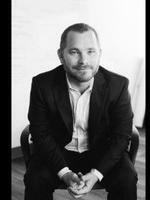 Zac Trojak has over 15 years of experience in customer experience strategy and transformation. As a Principal in Medallia’s Public Sector Practice, Zac leverages his background in leading customer experience operations for complex organizations to help government agencies develop phased plans for the transformative efforts that are just beginning in many places across the federal government. Prior to Medallia, Zac oversaw Customer Experience Strategy and Operations for Aramark. Rosetta Lue is a 2015 White House Presidential Executive Fellow and U.S. Department of Veterans Affairs (VA) Senior Contact Center Advisor. She is responsible for leading the efforts to modernize and transform the VA enterprise contact centers to improve the Veterans' experience by targeting 1,800 contact centers that employee more than 9,300 contact center personnel who process 140 million annual calls from nine million Veterans. Ms. Lue has been a key player in turning around the VA's enterprise contact centers, particularly in using the human-centered design approach to improve the experience of the Veterans and Employees. Simultaneously she oversaw the project team that developed a comprehensive plan to modernize the enterprise VA contact centers which, if fully implemented, would save VA more than $2 billion over five years. Anahita Reilly is the Chief Customer Officer for the U.S. General Services Administration (GSA) where she and her team work to improve the end-to-end experience of GSA customers by aligning operations to customer needs. They do so with the use of quantitative and qualitative data and Human-Centered Design methods to identify and implement process and technology solutions to improve the Agency’s customer experience. Before joining GSA, Anahita led Data Analytics and Budget work at the Department of the Treasury with a mission to use real-time resource management data to improve managerial decision making. 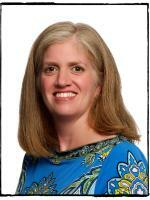 Additionally she has prior experience consulting for both public and private-sector organizations. Mary Jacobs is the Executive Director of Digital Service at the U.S. Department of Veterans Affairs. She is a proven leader with a passion for creating simple and intuitive digital experiences for private citizens and federal employees. Skilled at identifying and addressing complex challenges that others avoid while ensuring investment of time and resources align with agency mission and user needs. 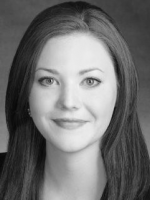 Ashley Goode is a Principal at Medallia. She has more than 10 years’ experience helping best-in-class brands to build, deploy, and run successful CX and loyalty marketing programs. Ashley’s background in personalized marketing and behavioral analytics resulted in a data-driven approach to program design, focused on building a true 360° view of the customer. Prior to joining Medallia, Ashley managed Customer & Employee Experience, Localized Marketing, and Product & Brand Research for Chik-fil-A. 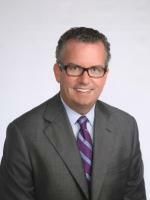 Rob Buhrman is a Principal in Grant Thornton’s Service Management practice. He has more than 20 years’ experience transforming public sector fee-for-service organizations, including aligning “front stage” customer experience to “backstage” service management. 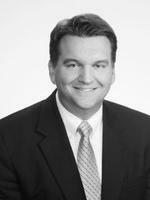 Rob is a leader in service strategy, design, and performance management. Additionally he successfully helps clients enhance delivery, optimize cost, and deliver value to their customers. Chris Smith leads Grant Thornton’s Strategy and Transformation Commercial Practice. 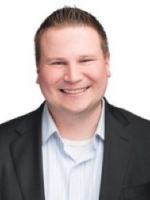 Chris’ career has focused on designing and deploying future-ready strategies for clients in the software, insurance, healthcare, retail, high tech and banking industries both domestic and international. His depth of knowledge covers corporate strategy, customer and growth strategy, and high-performance cultures. Chris has been published and/or looked to for expertise in a variety of leading publications including HBR, Fortune, Fast Company, CIO Magazine, Forbes and WSJ. As a Director at Grant Thornton, Emily Oehler leads Communications, Change and Customer Experience in the public sector. But the heart of it all, Emily is a story teller. Through 25 years of federal and commercial experience, including eight years as a TV news producer, she excels at creating and executing communication strategies that enhance brand recognition, affect change, increase understanding, improve buy-in, or inspire. Within the last 10 years, she designed and stood up four federal communications divisions – earning 15+ industry awards.